Check out Dreamville’s newcomer easily destroy a couple instrumentals on Hot.97. With Top Dawg assuring fans that SZA is next up to drop an album, all we can do is be patient. Last year she shared her eagerness to release music on Twitter, a feeling she would later visually express in a short BTS doc “Where The Hell Have You Been”. Today she blesses us with “Love Galore”, a dope collaboration featuring Travis Scott. The two mesh well here. Travis accentuates the confident nature of the track as SZA’s well produced vocals make this record stand out. Enjoy Above and stay tuned for CTRL, coming soon. Check out the new visual for the record below. Check out another vibrant track from Rexx Life Raj. 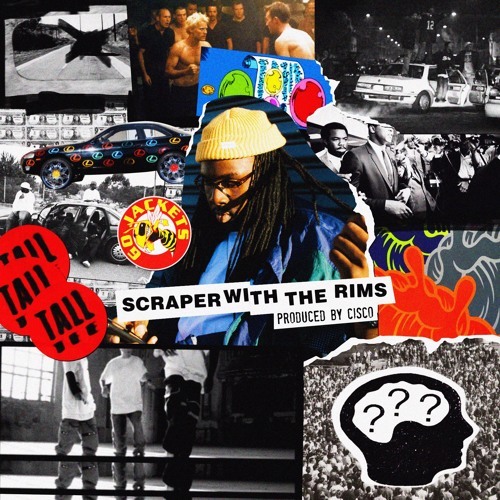 This time he takes us back to the simpler and more challenging times with “Scraper With The Rims” produced by Cisco. The grind really never stops for Spitta. With multiple projects already at our disposal, I can only speculate that his latest, The Fo2o Massacre, might be the last until his official studio album The Motion Picture Soundtrack. “Chu Saiyin'”off the last project, shows Curren$y and his homie Regal Al posted and spitting game as always. Enjoy Above. HBK’s own Iamsu!, delivers a fresh visual from his Boss Up 2 project. Check out the animated experience above. Since the release of his Endless and Blonde albums, Frank Ocean has stepped out of the shadows to consistently give fans the content they ached for during his absence. Today we get to hear Thug in rare form as smoothly starts off this track before promptly switching up his flow, as he’s known for. “Slide On Me”, is a collaboration that brings about nothing but excitement and of course questions of its origin. Frank’s updated version of the record which originally appeared on Endless, can be played below. Take some time and listen to this melodic track from Young Thug. “Feel It” is another random record that shows off his rare cadence and musicianship. Wiz and Juicy are back together and killing tracks as usual. Click play below to hear proof of their undeniable chemistry. Check out this dedication to smoking in public, by one of L.A.’s strongest rap trios, Warm Brew. Writer turned full-fledged artist Hypno Carlito, a member of Lil Durk’s OTF (Only The Family) once again proves his ability to create dope tracks. His upcoming project Never Say Never Again is on the way. Enjoy Above.